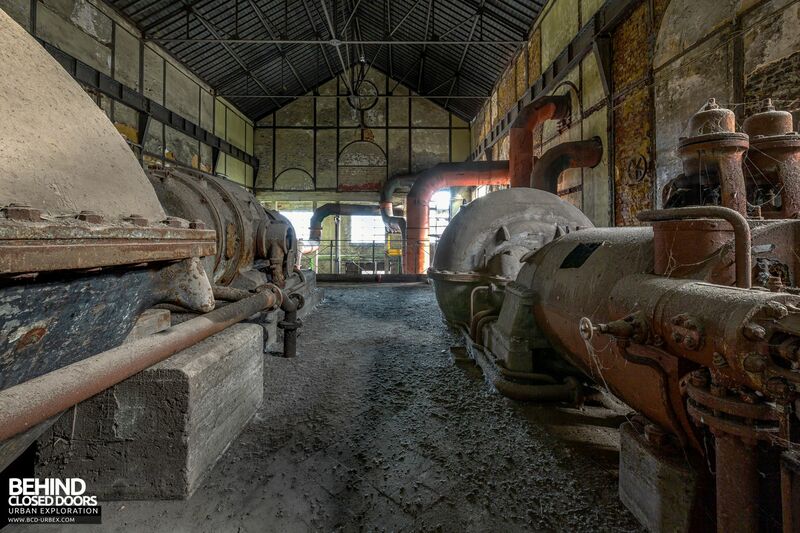 The original power plant at Cockerill Sambre's HF4 Blast Furnace in Charleroi, Belgium contained two turbines, with an additional three turbines in the extension building. 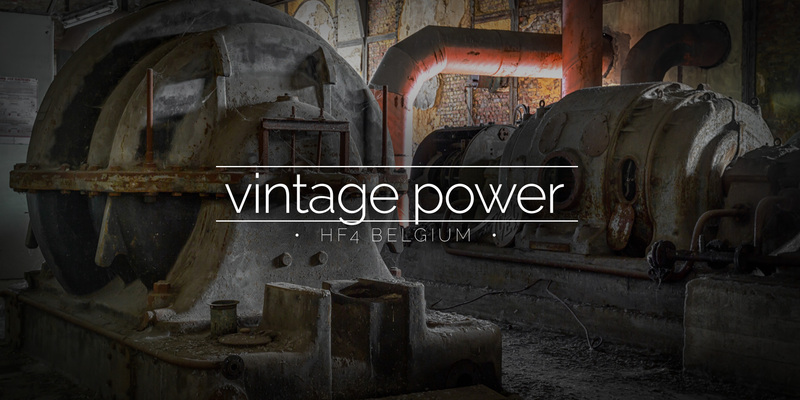 The Cockerill Sambre steel plant in Charleroi has had a number of power stations over the years. 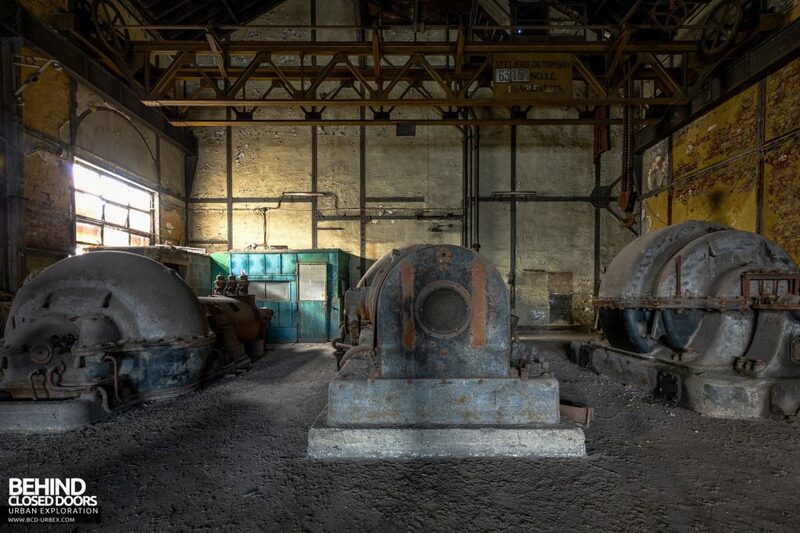 Possibly the earliest to be erected on the site is still there, and is a fine example of early installations at steelworks, featuring two turbine generators and a corresponding pair of rotary converters. 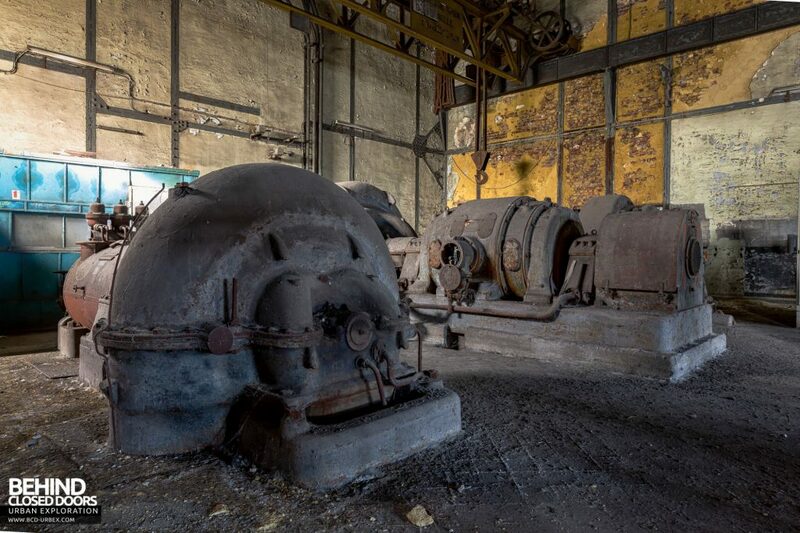 The turbine alternators produced AC electricity, however in the early 1900s much of the machinery at the time required DC current to operate. 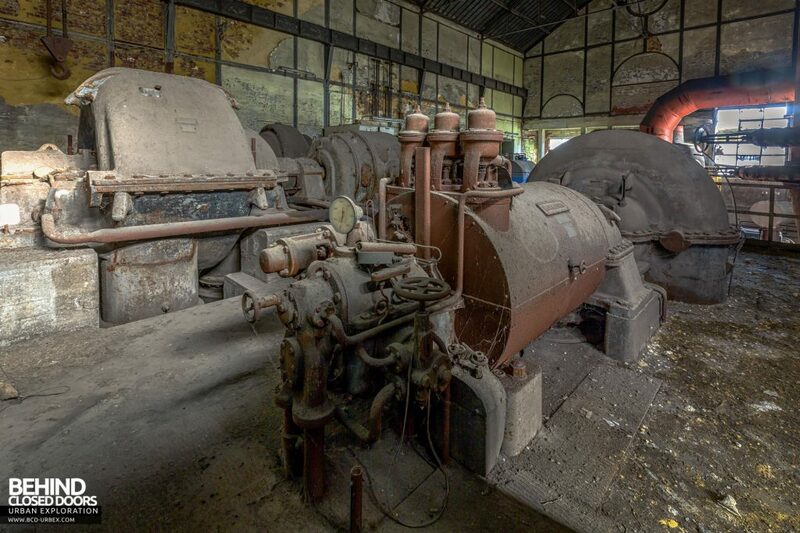 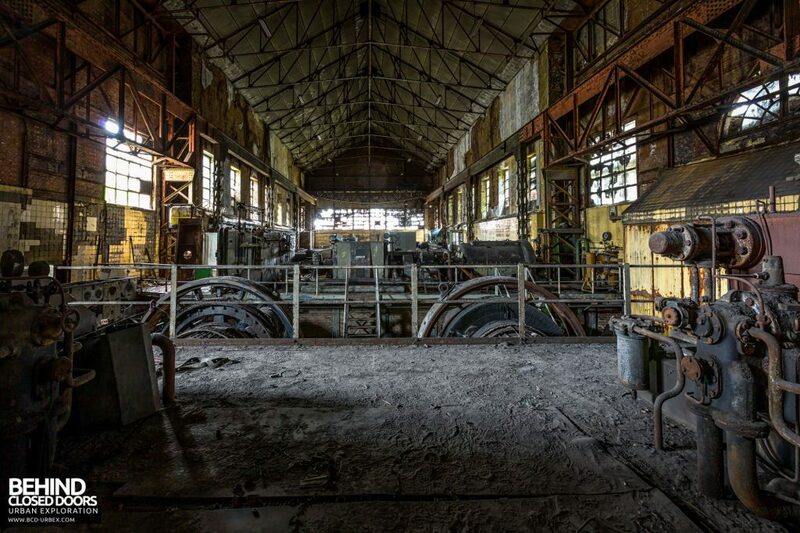 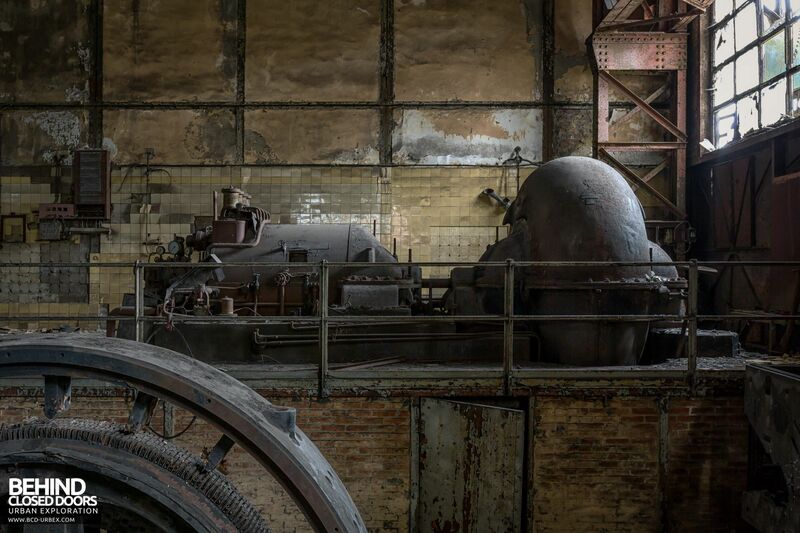 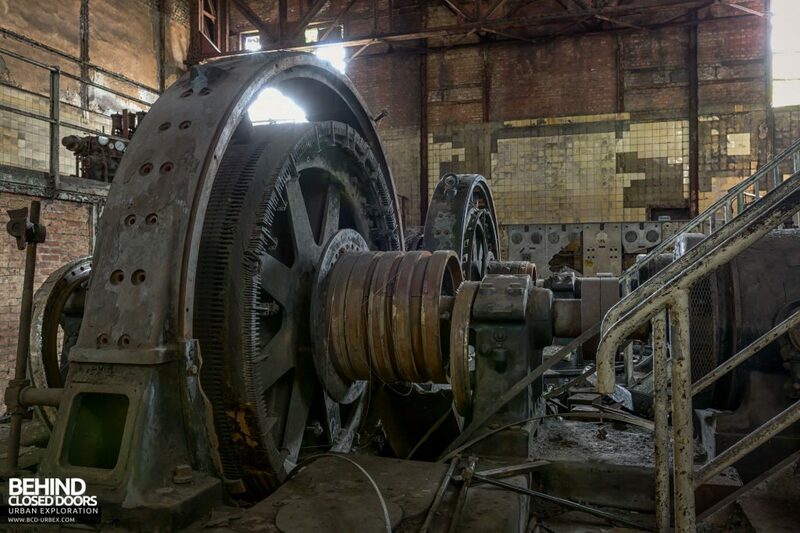 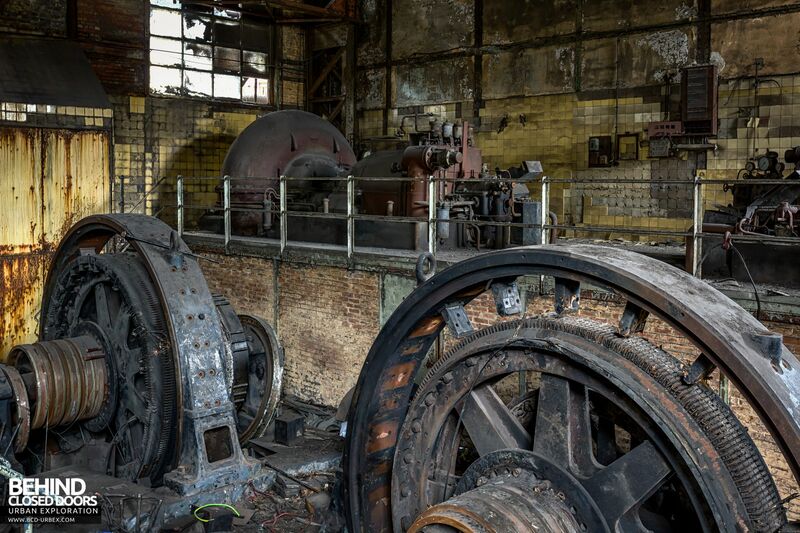 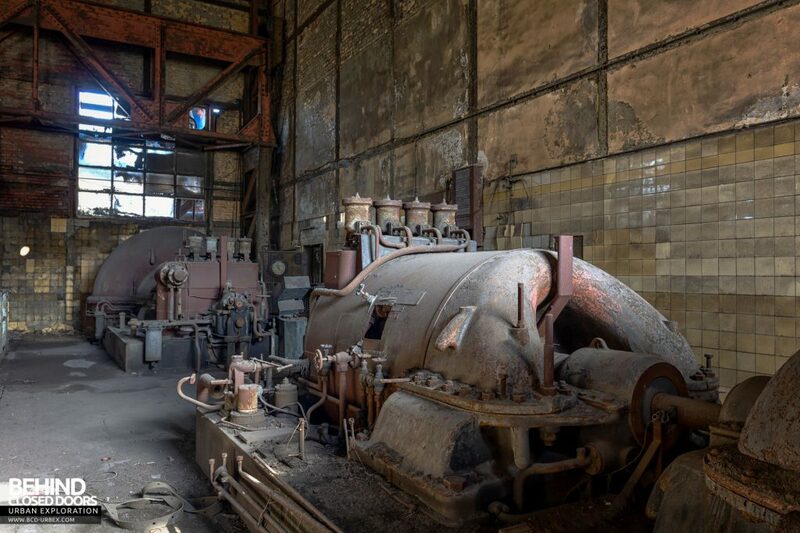 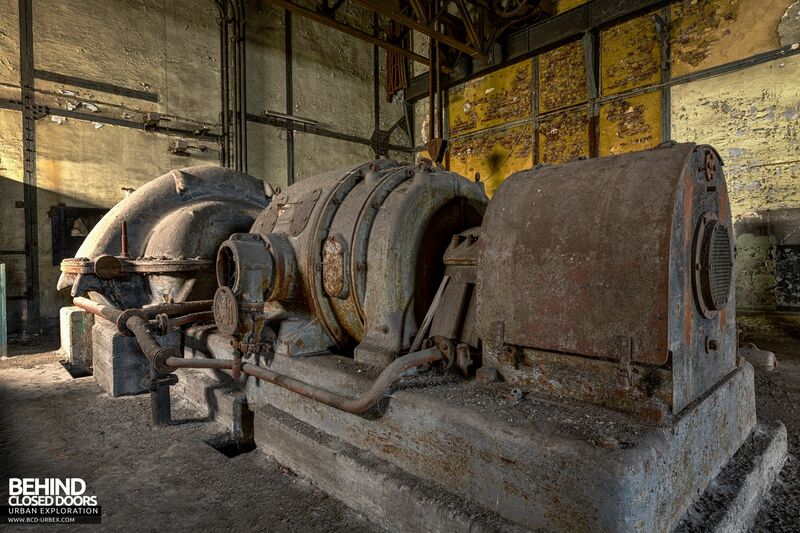 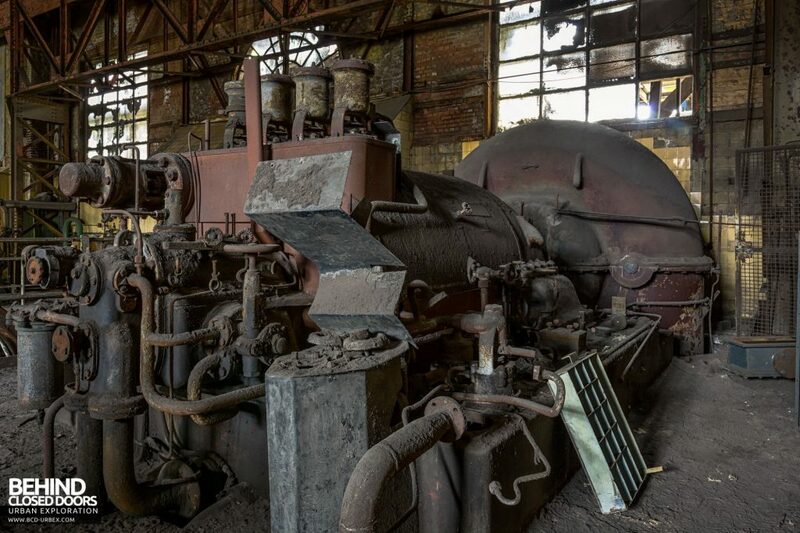 Steel mills in particular required large amounts of on-site DC power for their main roll drive motors, so rotary converters such as those in this power station were employed. 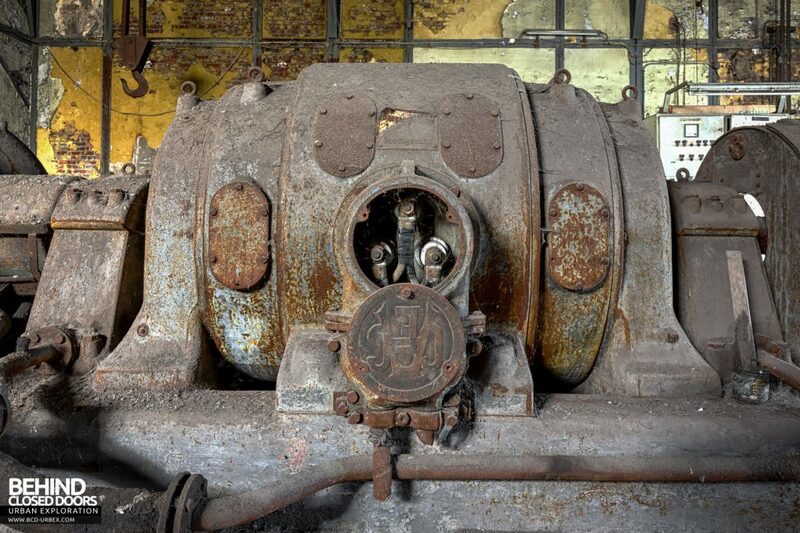 Rotary converters were phased out around 1930 due to the emergence of mercury arc rectifiers. 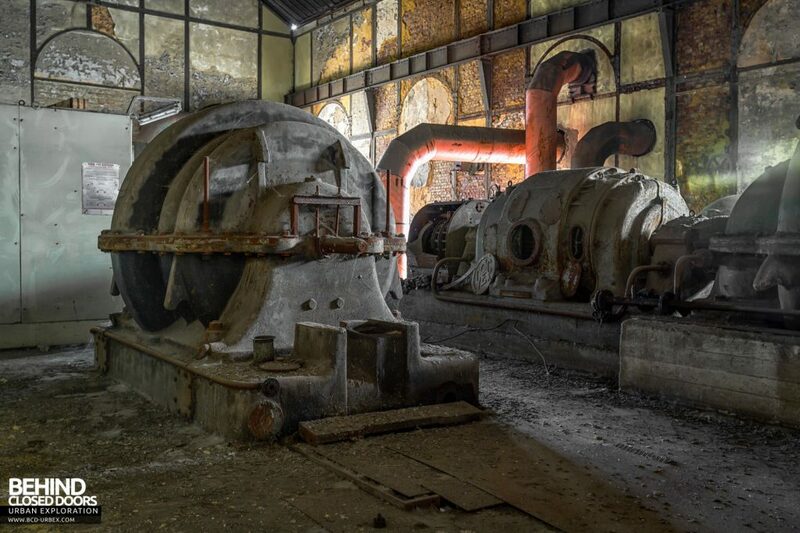 This means, as is also clear from the aesthetic design, the machinery can be dated to somewhere between 1904 (when their manufacturer ACEC was formed) to 1930. 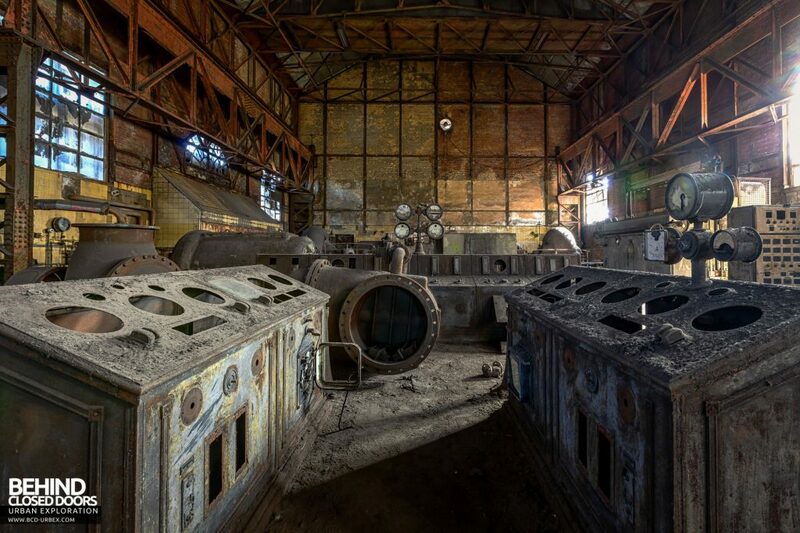 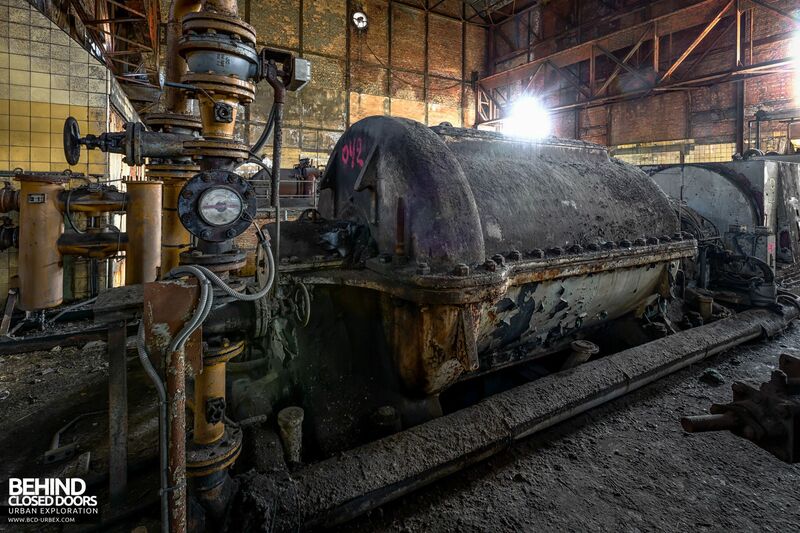 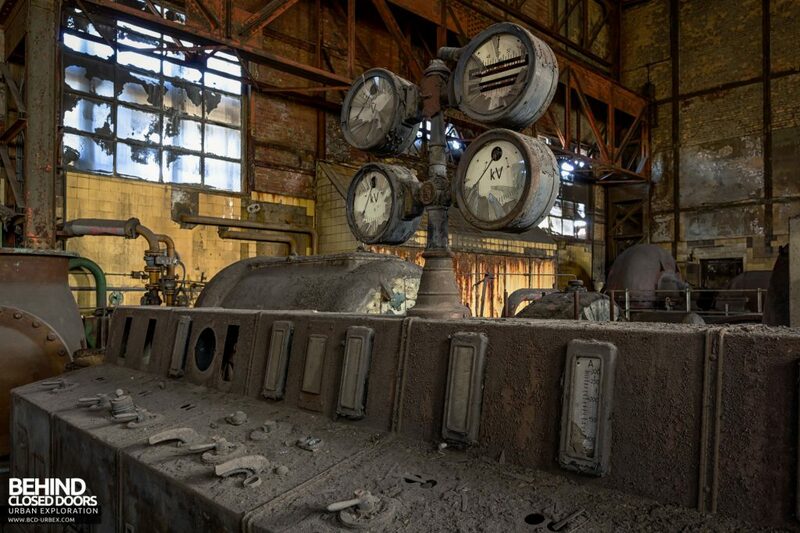 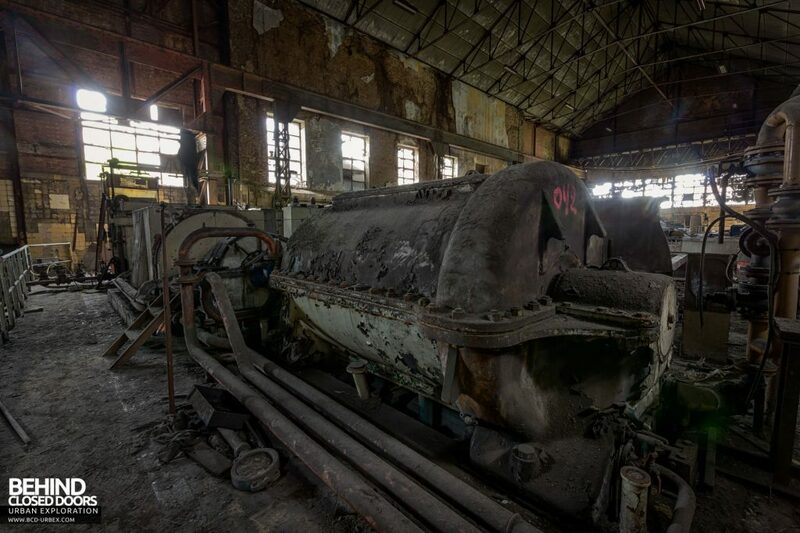 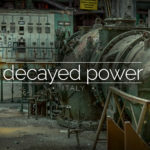 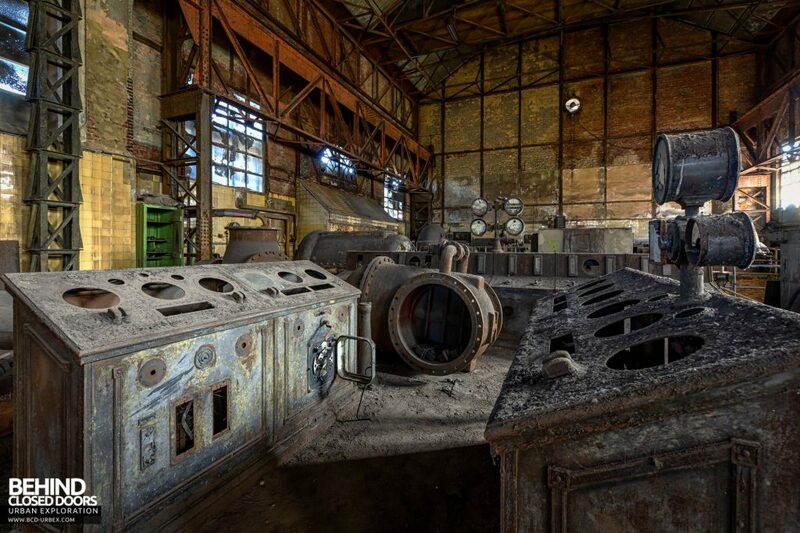 The power plant has been popular with urban explorers, and is often referred to as “Wet Dogs”. 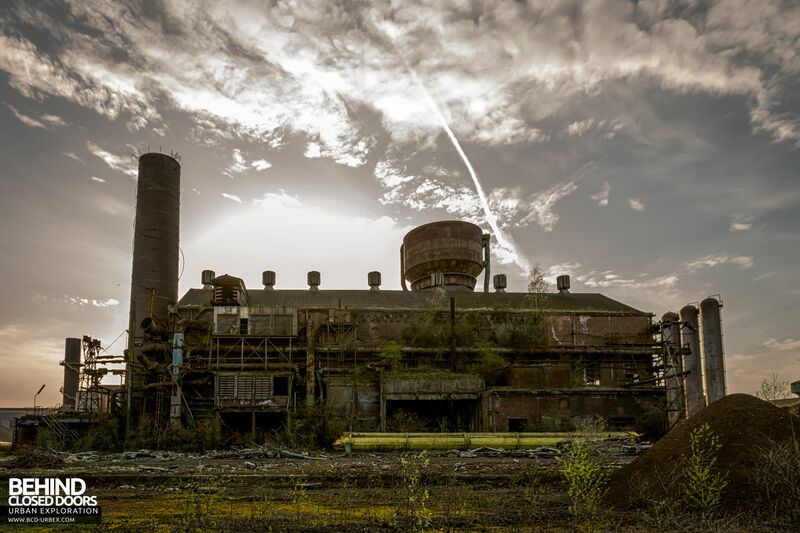 I visited the plant a while after it appeared on various websites, mainly out of my own interest rather than to photograph the site for a report. 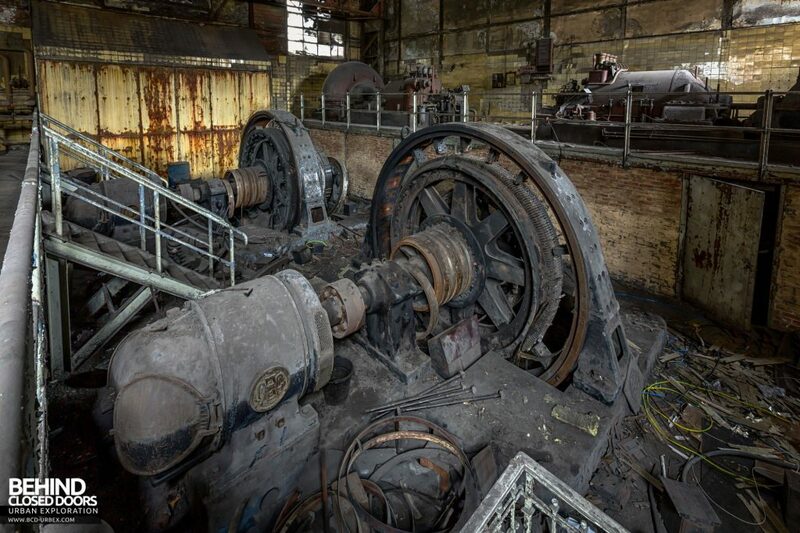 Some of the machinery had been pulled to pieces by metal thieves. However, I discovered there to be another turbine hall, interconnected to the main building that I hadn’t seen on the internet before. 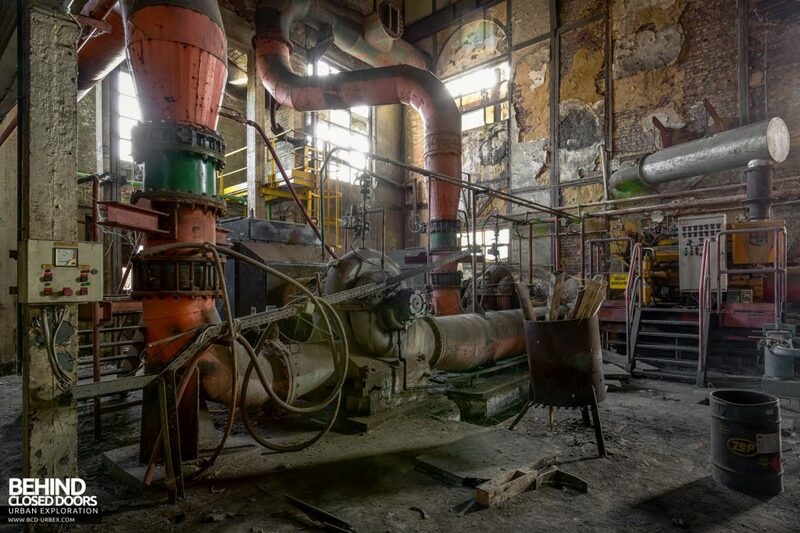 For that reason, I have decided to post a report of the whole plant. 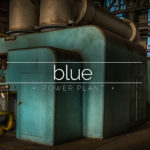 The power plant was eventually retired as it aged, and was replaced with a new power station often reffered to as the Blue Power Plant. 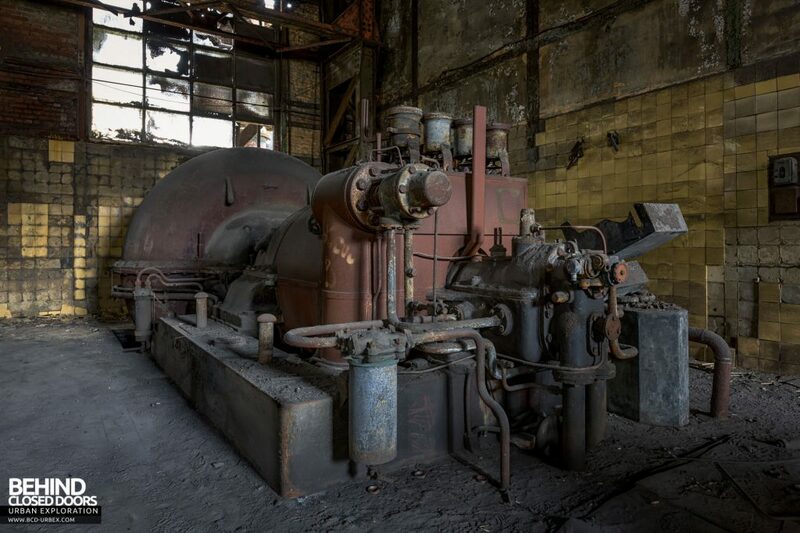 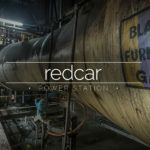 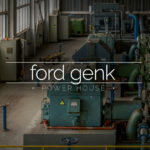 The power plant provided electricity for the HF4 Blast Furnace. 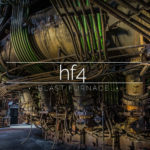 Have a look at my report from HF4 for more photos and information. 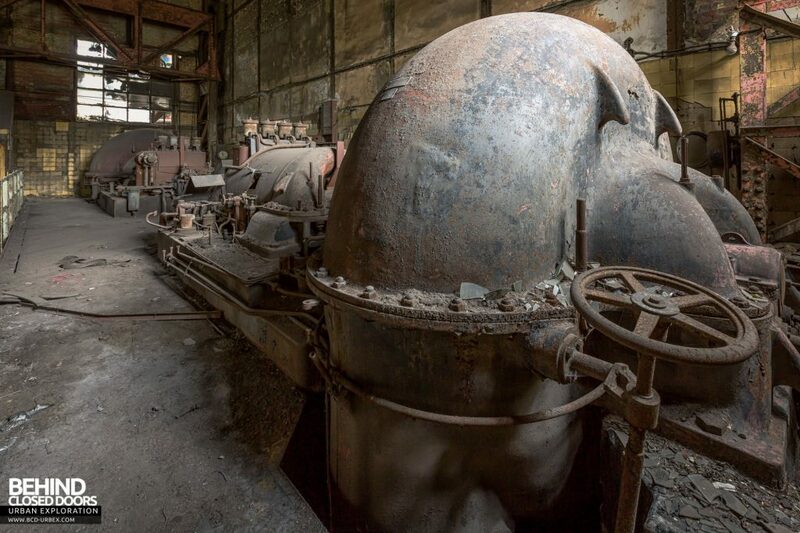 The level behind the rotary conveyors housed the blowers which were responsible for blowing air into the blast furnace. 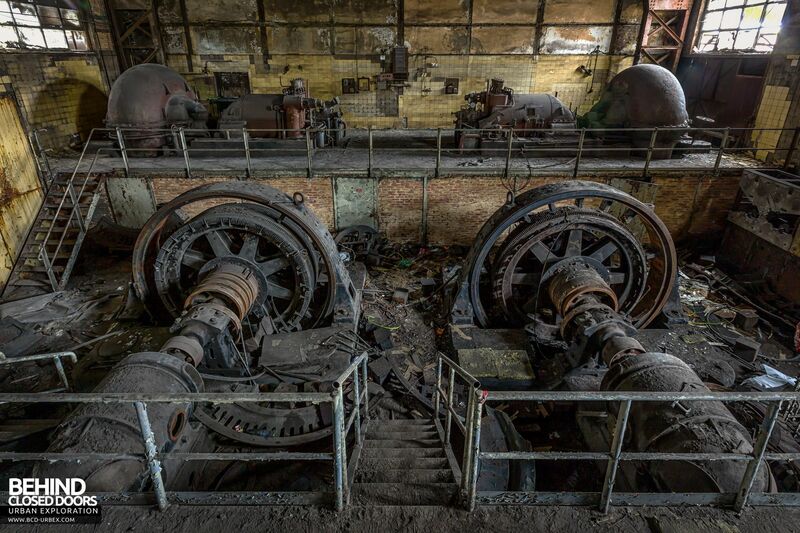 Directly behind the blowers, the control panels were also located on this level. 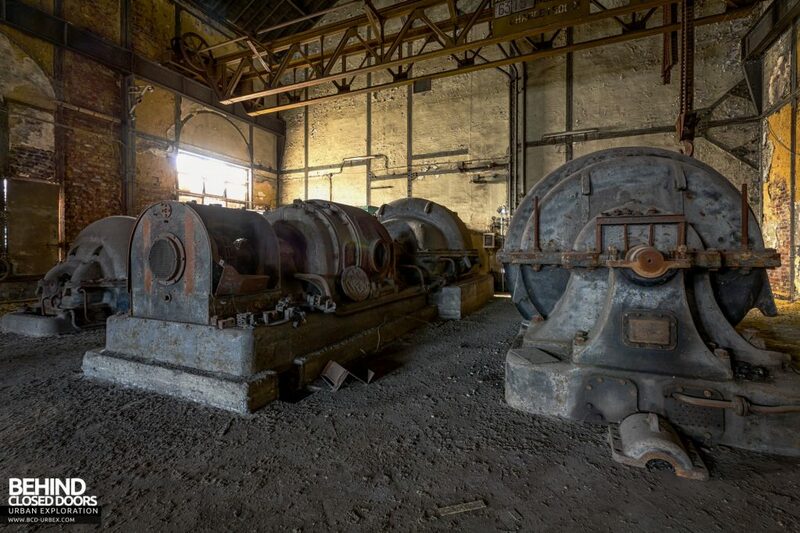 The second turbine hall had been added at a later date as power requirements of the steelworks increased.